Jim Keller is the Vice President of Advertising Sales at Hulu where he leads the company’s relationships with top marketers and agencies across the Midwest and East Coast regions. In his role, Keller is also responsible for leading Hulu’s direct response and local sales efforts, as well as the company’s multicultural business. In addition to overseeing day-to-day performance of sales across the Midwest and East Coast regions, Keller plays a principal role in defining the upfront and scatter strategies for Hulu. 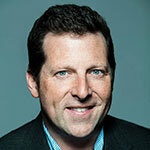 Prior to joining Hulu, Jim held multiple leadership positions at Bravo, Viacom and NBC Sports. Most recently, he was the Vice President of Sales at the NBC-owned Bravo network where he was instrumental in growing revenue across the networks traditional and digital properties. Jim began his advertising career at the global ad agency McCann Erickson, where he represented Coca-Cola and Johnson & Johnson. Jim is an East Coast native, father of two and graduate of Providence College. In his free time, Jim is an avid supporter of New York’s youth soccer leagues where he serves as a coach and advocate.